Though the pioneering punk band Suicide were never a commercial success, they were one of the first punk bands to use synthesizers so they were influential. Suicide was a duo with singer Alan Vega (born Alan Bermowitz June 23, 1938 in Brooklyn, NY) and keyboard player Martin Rev (born Martin Reverby Dec. 18, 1947 in Brooklyn, NY). Vega studied art in college and he called himself Alan Suicide after the Ghost Rider comic book Satan Suicide. After seeing The Stooges in 1969, Vega met Rev and the two started playing New York clubs. Apparently Suicide was one of the first groups to use the word "punk" to describe themselves because that's how they behaved on stage. Things started to pick up for Suicide when Rev began to experiment with synthesizers and drum machines. They signed with Red Star Records owned by former Paramount and Buddah exec Marty Thau. Though the 1977 album Suicide was not a commercial success, the use of synthesizers on the album was a big influence on what was to come in the 80s. Artists as diverse as Bruce Springsteen, The Fleshtones and most 80s synth pop bands have acknowledged Suicide as an important band. Thau hired Ric Ocasek of The Cars to produce Suicide's second album in an effort to give them a more commercial sound. But the album was never distributed properly and Suicide split up. Vega and Rev immediately recorded solo and though they have occasionally reunited, the two are still active individually. 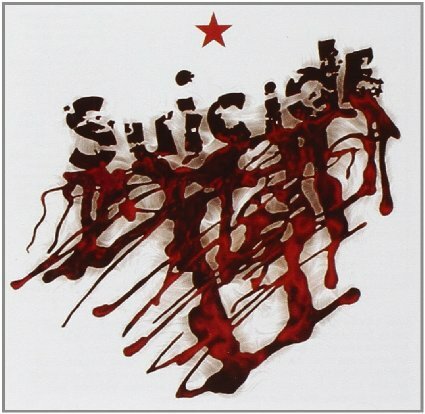 The album Suicide is available on CD and those interested in the evolution of punk music should check it out. Here's Suicide performing Sweetheart and Touch Me at Hurrah in New York 1980.